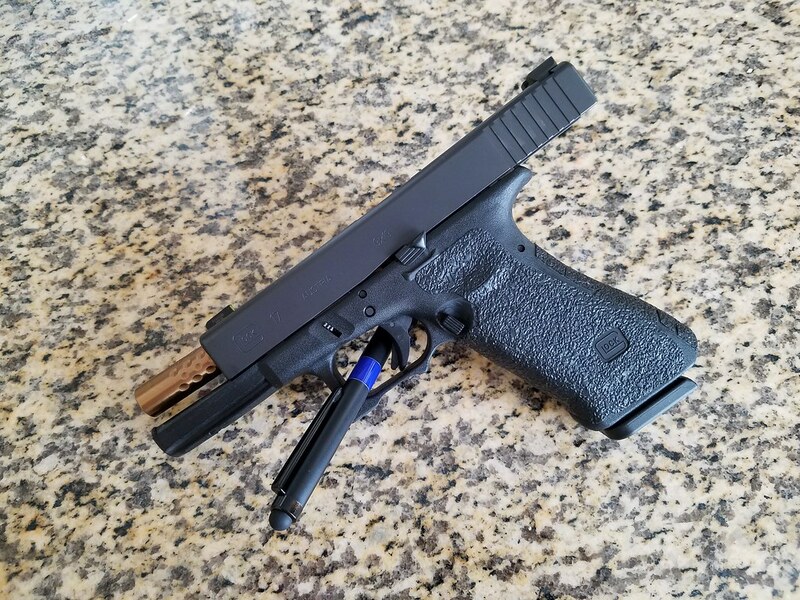 So, I bought a Glock... Let the tinkering begin! 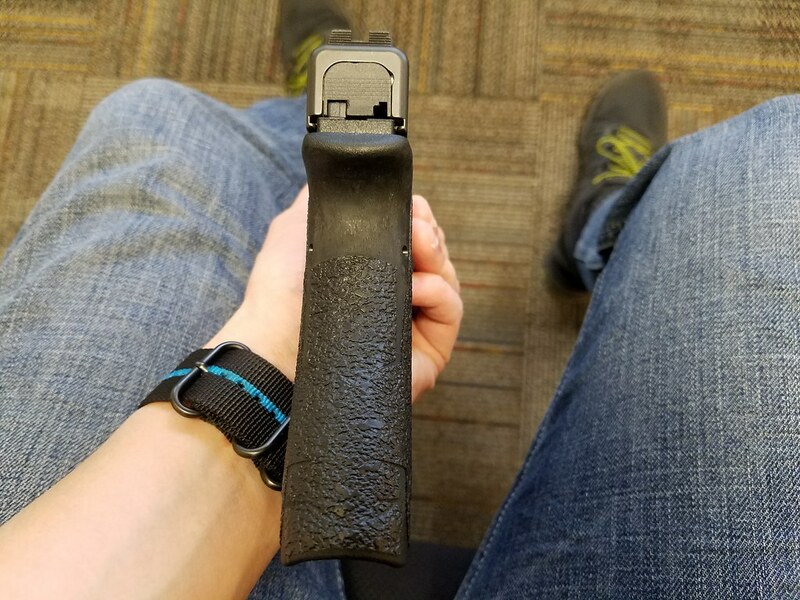 As a southpaw I found the mag release difficult to operate on my gen 3. So I installed the extended one. And then night sights. That's it, done. 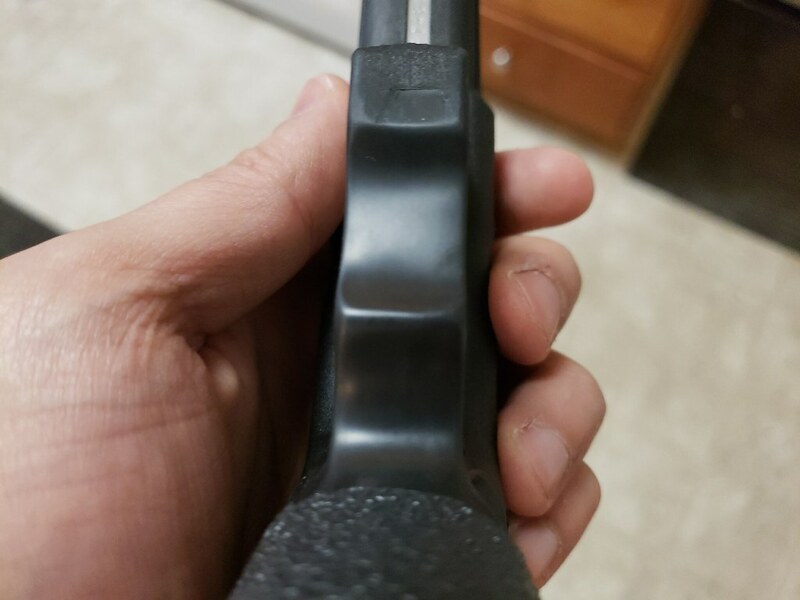 I would've recommended the HK P2000 for you, being the only true ambi pistol in CA. 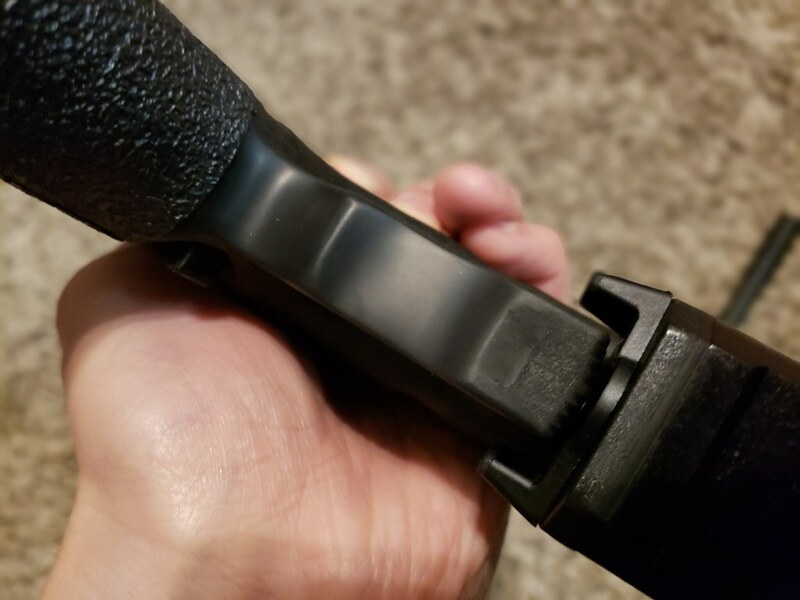 Last edited by code_blue; 12-06-2018 at 10:31 PM..
Ameriglo Protectors arrived. These sights were a lot better than I expected. 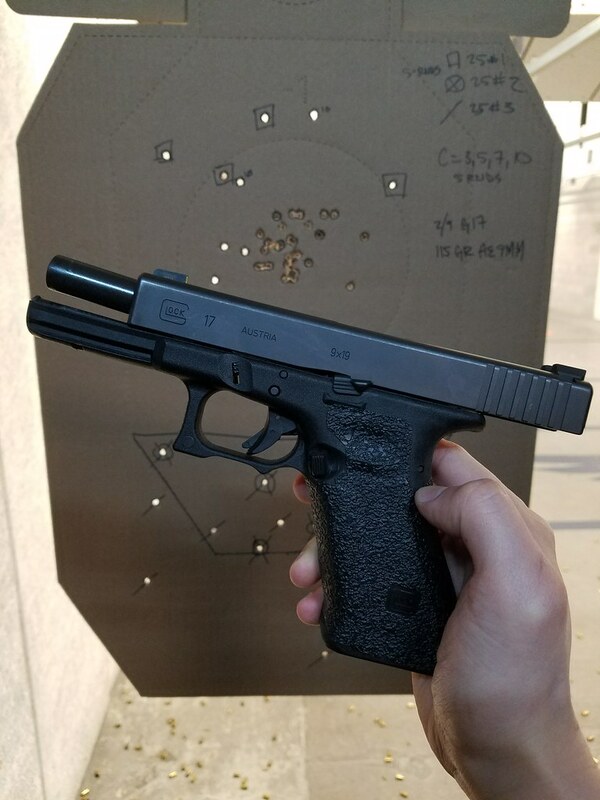 For $50, it's definitely on par with the more expensive sights. 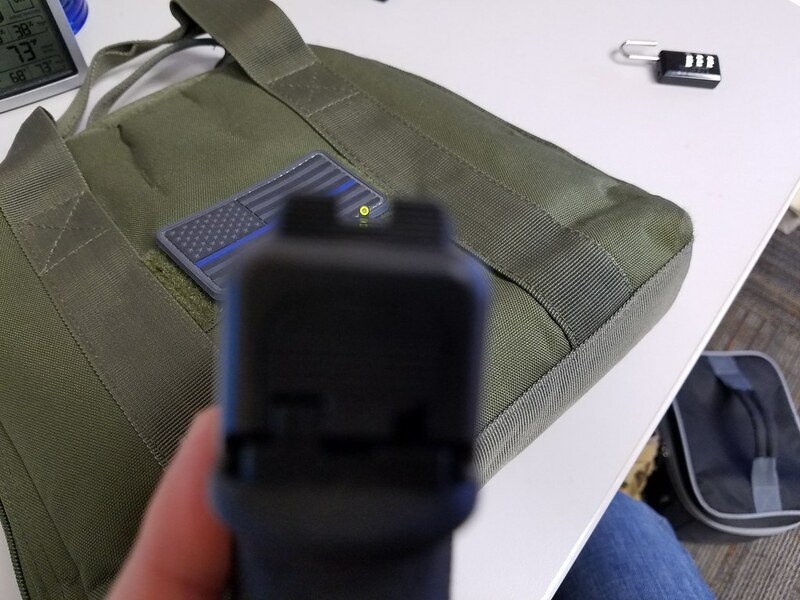 I especially liked that they rear sight extended back towards the end of the slide. The sight picture is just more natural. 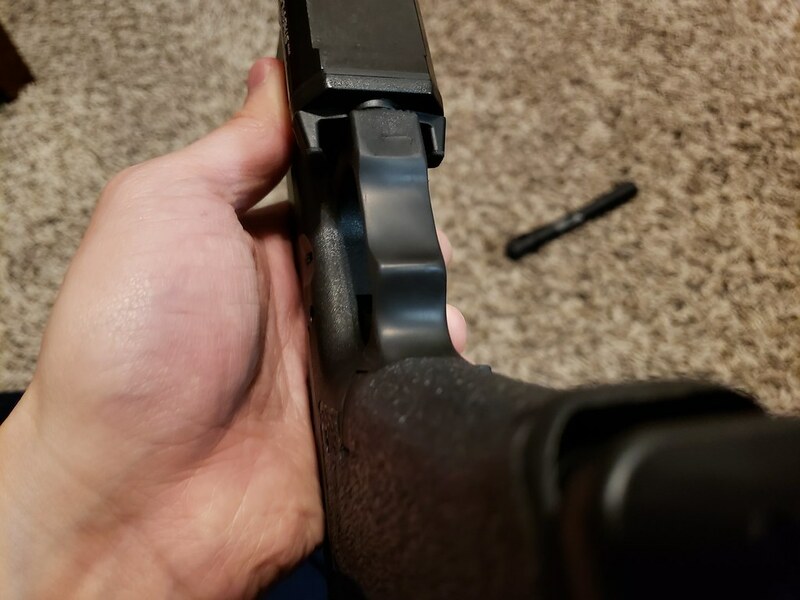 I hated the OEM sights where half the dot is covered by the rear sight. The full dot shows up here. Those sights look nice. That is the sight picture I liked in IDPA....blacked out rear and bright front. 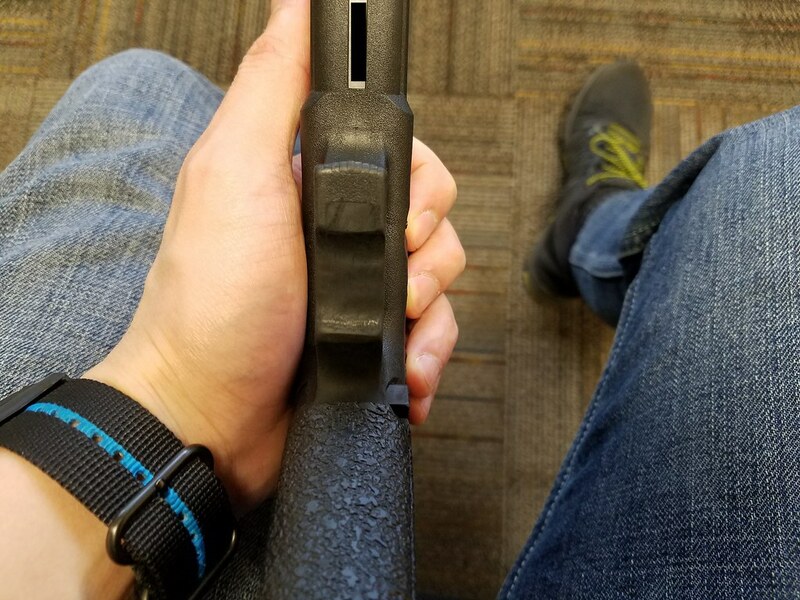 It draws your eyes faster to the front sight in daylight. 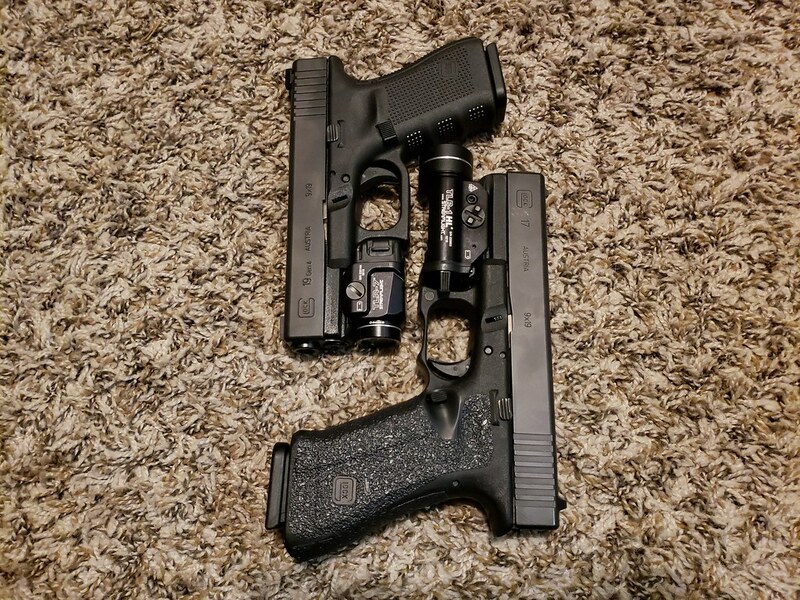 I have full night sights on my HD guns because they really do make a difference in low light....but there is nothing faster than that one dot in full sun. Ameriglos brought the sight picture back to combat sight picture with exception to 10-yards and beyond which required a 6:00 hold. 1) Try an Agency Arms trigger. 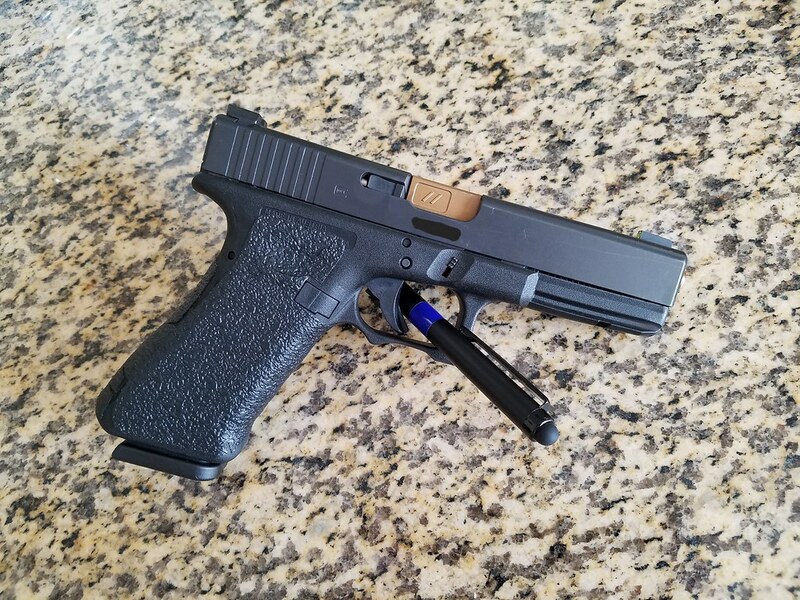 I just put one in my 43 and it is excellent. It is all “wall”...no mush. 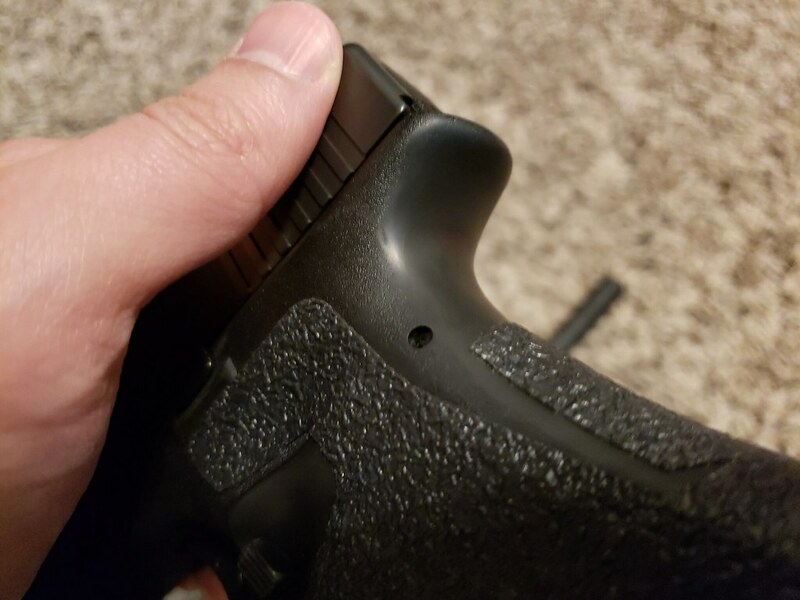 2) I have a McNally trigger in my G19. It is a bit mushy compared to the AA. You may like it. 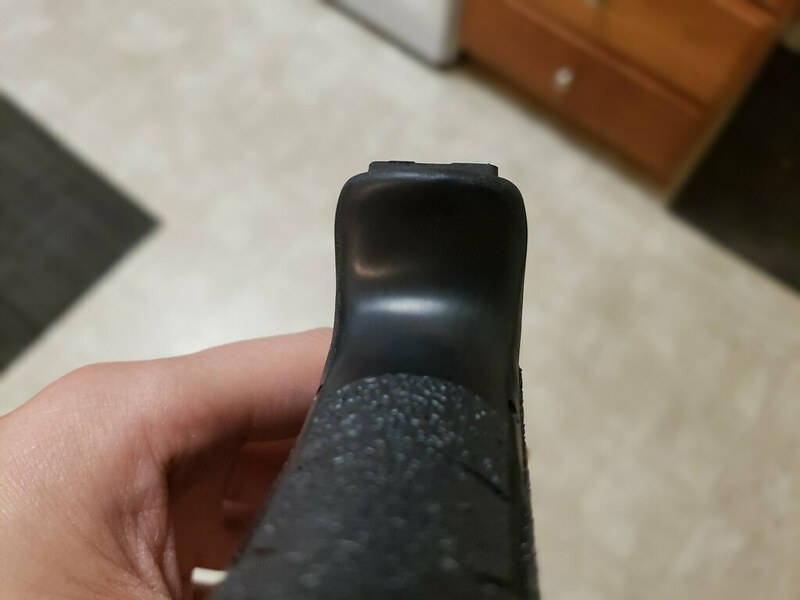 Both triggers have flat trigger shoes. 3) A KKM barrel will tighten that group up even at your current skill level. 4) Dump the extended anything. Not needed and will only annoy you. I was given an excellent deal on a Zev barrel by a local. I couldn't pass it up. I think I'm done tinkering with it now. 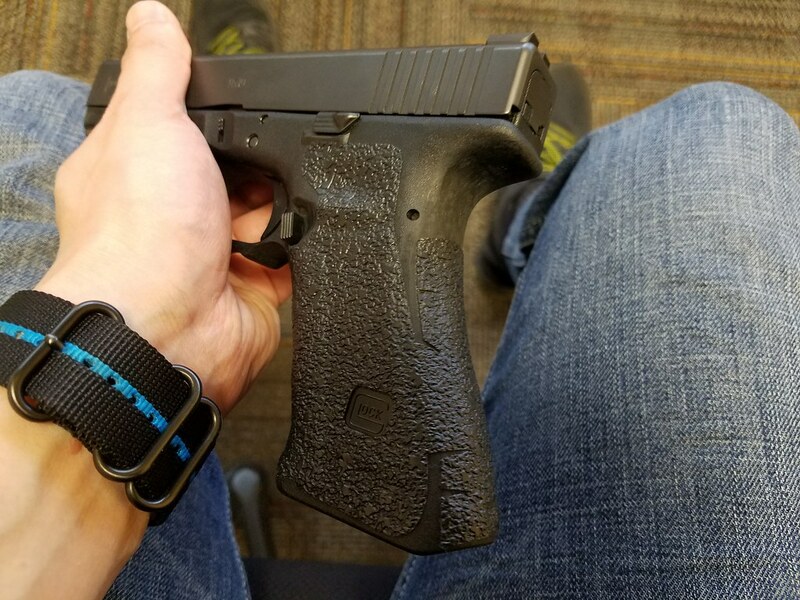 Once my holster setup comes in, I'm going to beat this thing to heck and back. Even more so once I get my hands on a Ruger PCC. It'll be a fun time for sure. 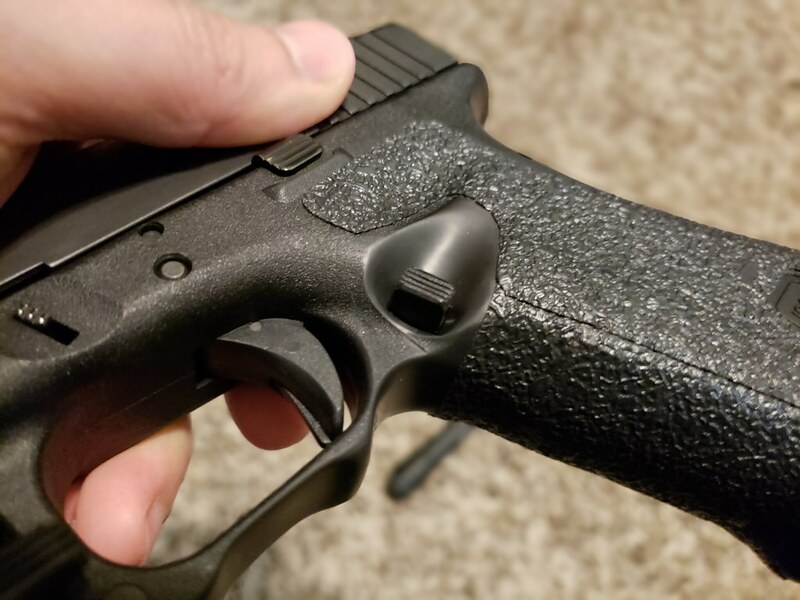 I tried a few methods and figured out the best course of polishing via dremel and progressive lapping with sandpaper as alluded by other members. I went back to remove the left thumb ledge and open up the scallop to facilitate more consistent actuation of the mag release. I also polished all of the modded areas to a shined, smoothed surface. 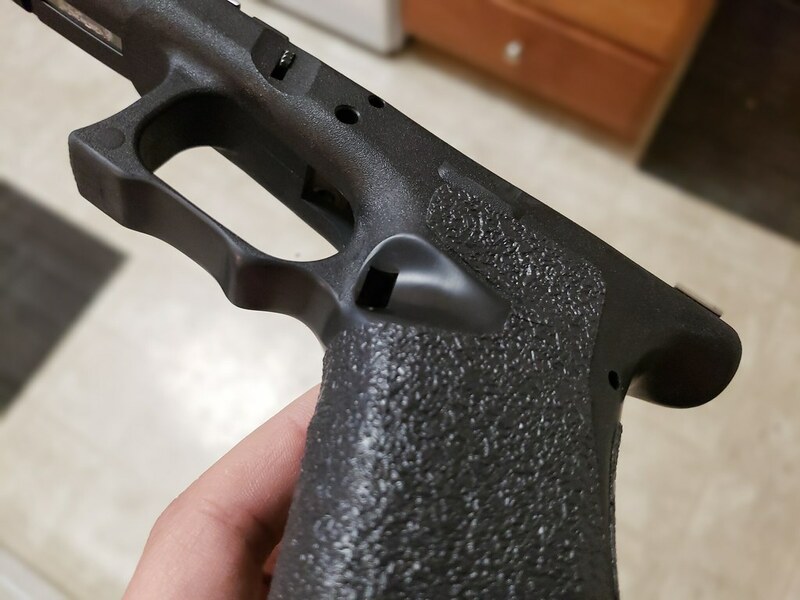 While I had the gun apart, I swapped the ejector to the newer Gen 4+ "squiggly" version and refined the polishing further. I am confident enough that I can do these mods for friends if they asked. I won't try stippling yet though. 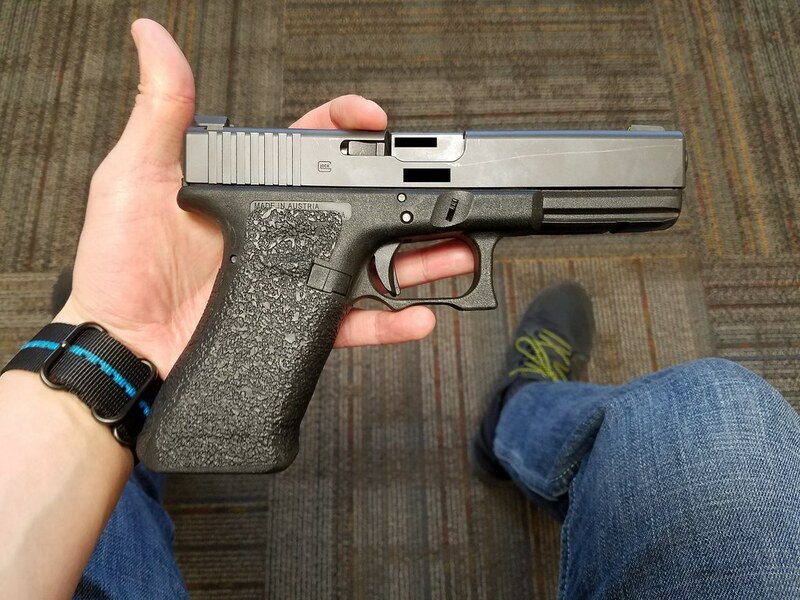 I've learned a lot about this platform and I've come to really appreciate the Glock design. 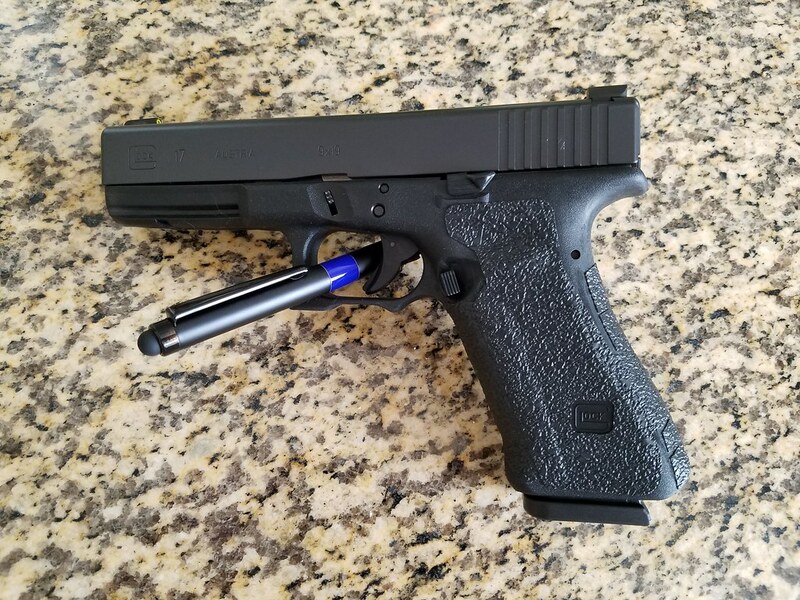 So much so that I went and acquired both a Gen 4 G27 and Gen 4 G19 via the BL program, which I will be carrying after I put it through the ringer. 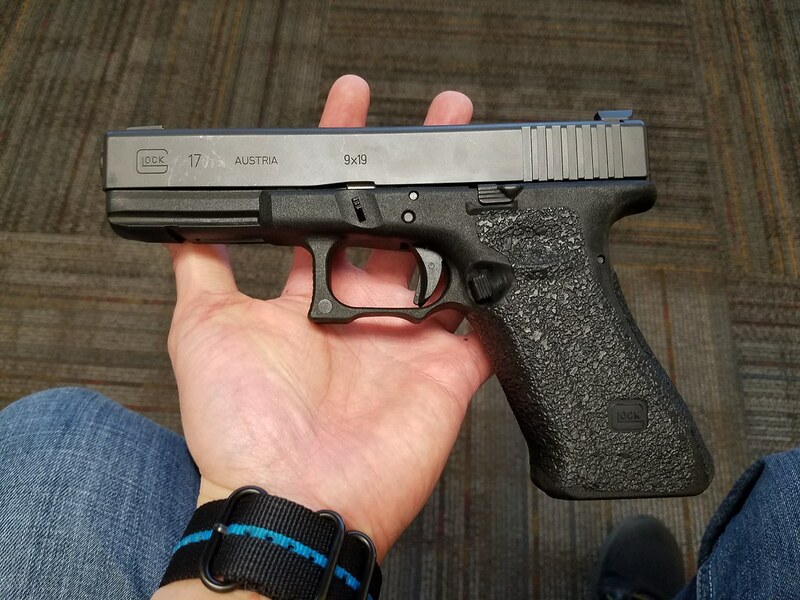 I did not like the more complicated changes in the Gen 5 platform to opt for it nor do I like the 42/43 design. 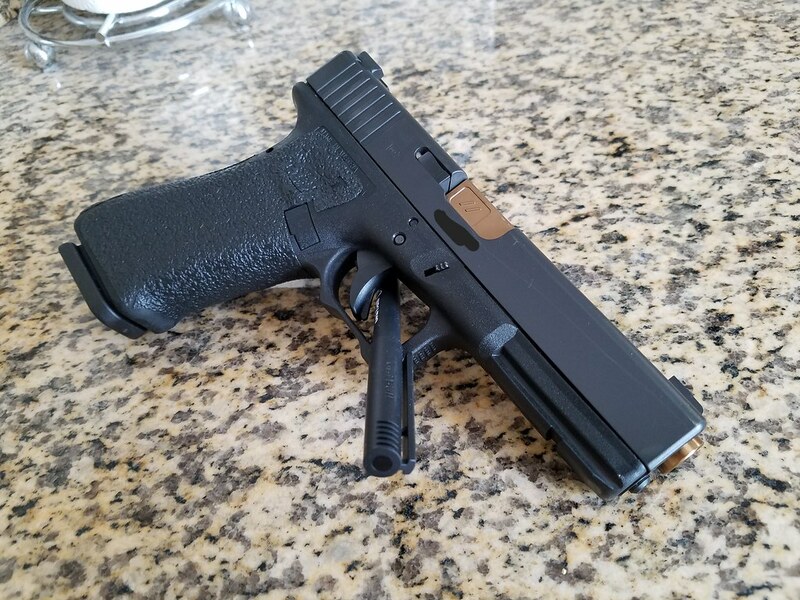 I also found that I did not like the sub-compact variant, so I will be selling off the G27. 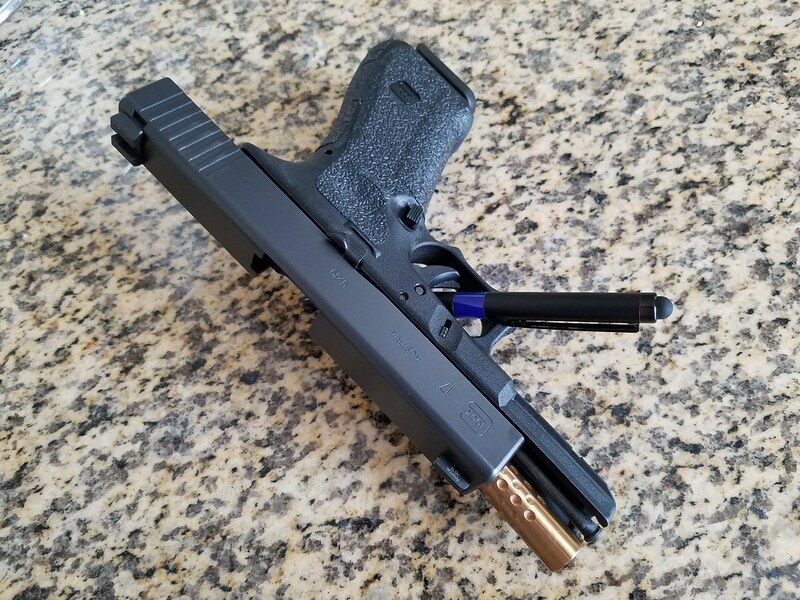 I also, did not find a need to keep the Zev G17 barrel. I did not see any practical accuracy or reliability increase from it, so I sold it and am selling the Wilson Combat barrel as well. Basically, it's sporting all OEM internals. 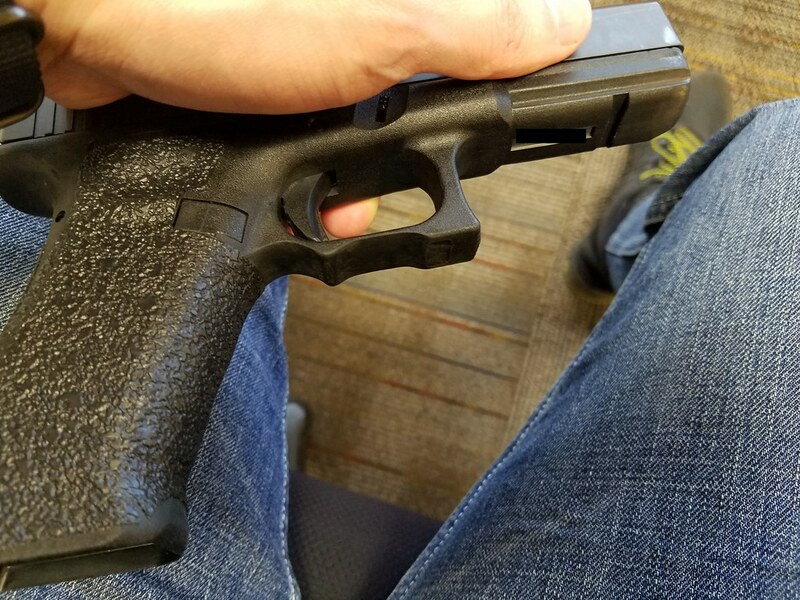 I still prefer the M&P platform, but I really respect the Glock system now. 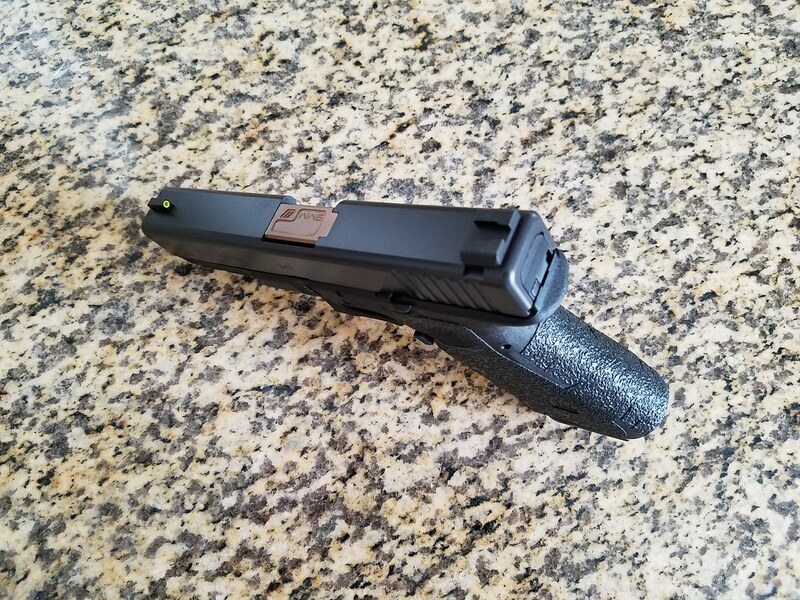 I found that I disliked the P320 platform and sold that off as well. 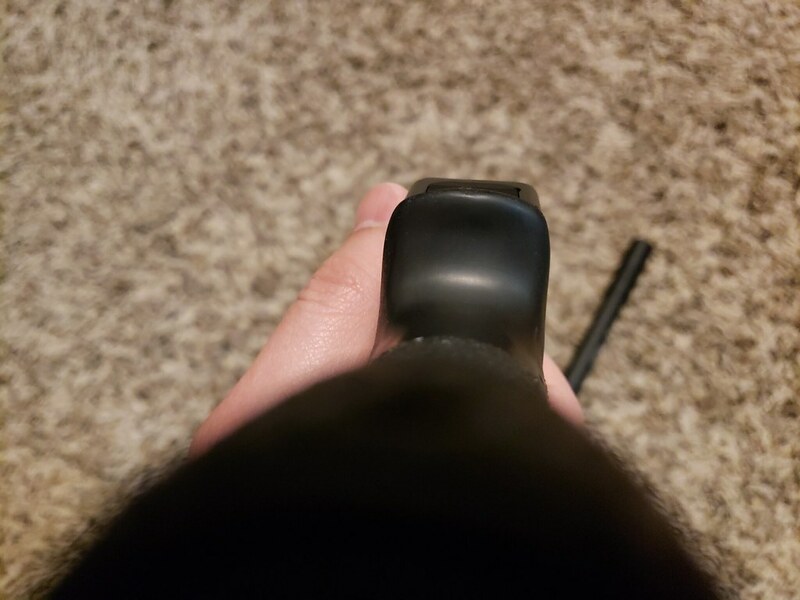 I do have to change out the sights. I'm thinking of the Frank Proctor Y Notch or the Dawsons that I'm familiar with. 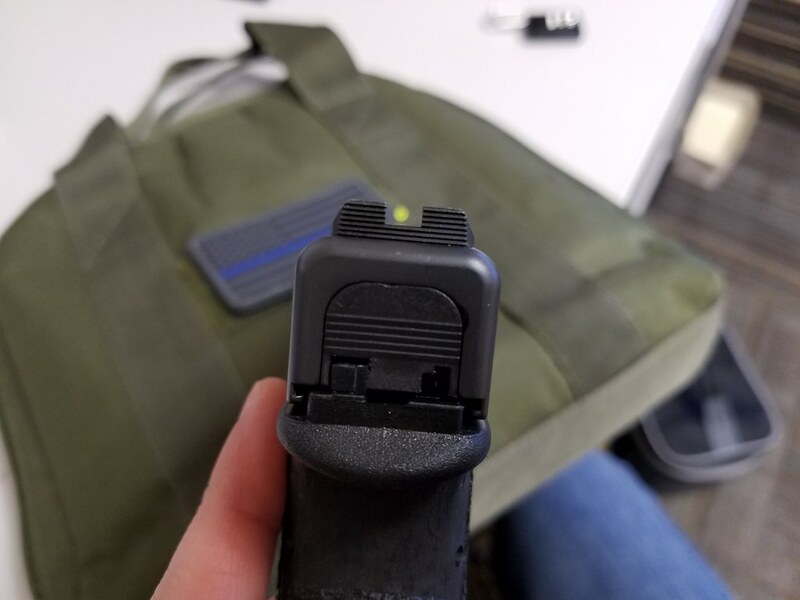 I am starting to prefer the thinner front sight posts over the larger dot/tritium Trijicon HD style sights. All black, serrated rear is still the preferred. Care to share your polishing method on the frame? It turned out really good. Sure. I took a worn out sanding drum and taped sandpaper to it. Ran it over the sanded parts. I progressively went from 600-800-1200. 1200 was probably overkill, but it worked out. 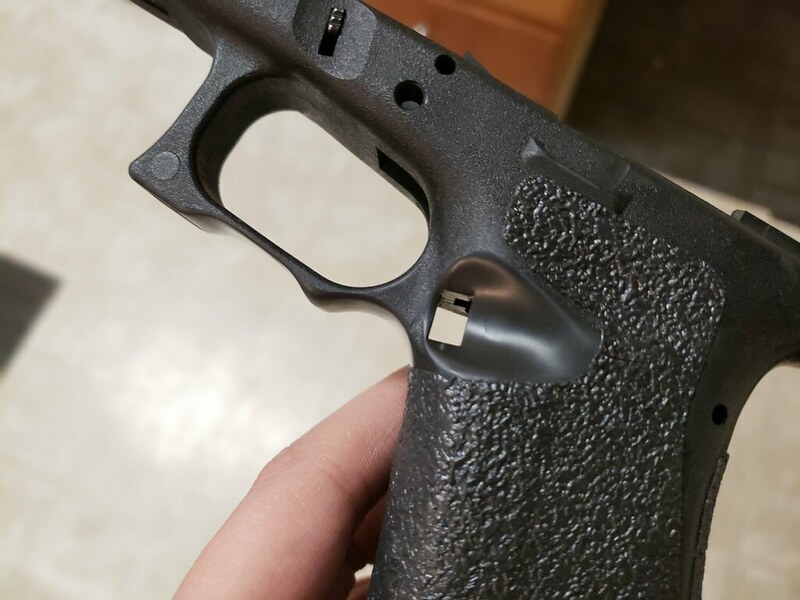 The trick was to allow the looser ends of the sandpaper to lightly go over the contact points and not applying too much pressure. I tried Mother's plastic polish, but it didn't seem to do anything. You're local, so I can show you in person if you'd like. It looks much better in person than in the photos. Last edited by code_blue; 12-04-2018 at 10:46 PM.. Thanks for sharing OP! Update us if you decide to do more work. Beautiful weapon you have there sir! Thanks again. 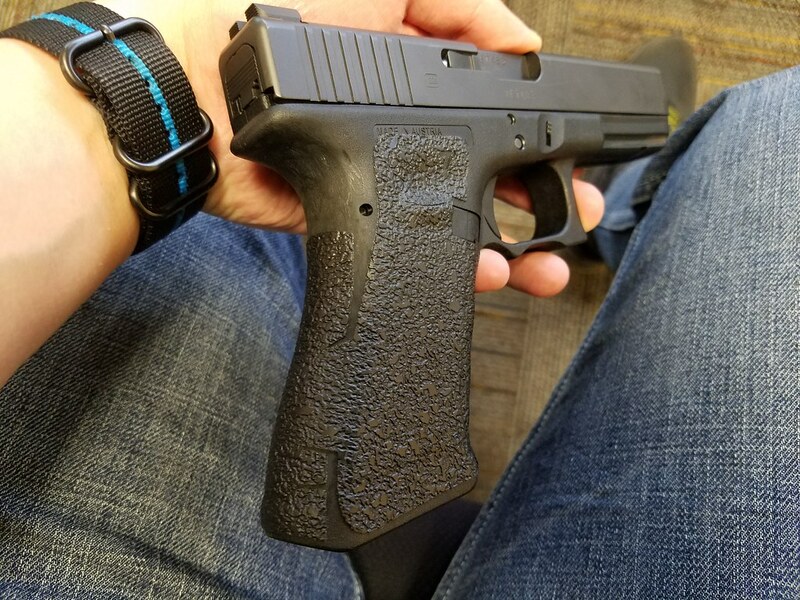 Op, what did you use to polish the grip in the area you worked on? 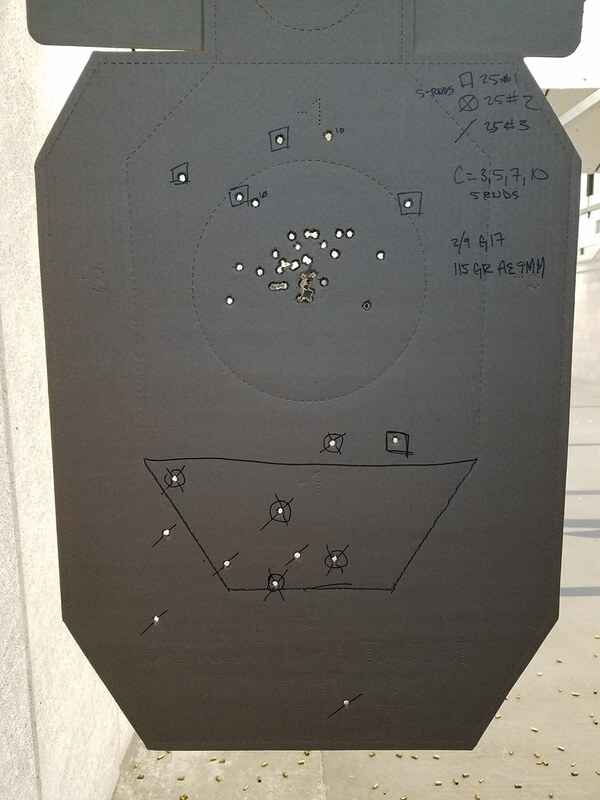 I'm picturing a yahoo that is at an unregulated outdoor range for the first time, firing wildly as fast as possible from the shoulder or hip, not aiming at anything and not hitting anything but a wide swath of dirt some in his lane some outside of it. Happens all the time at places like Oroville and Spenceville. Nothing needs changing. 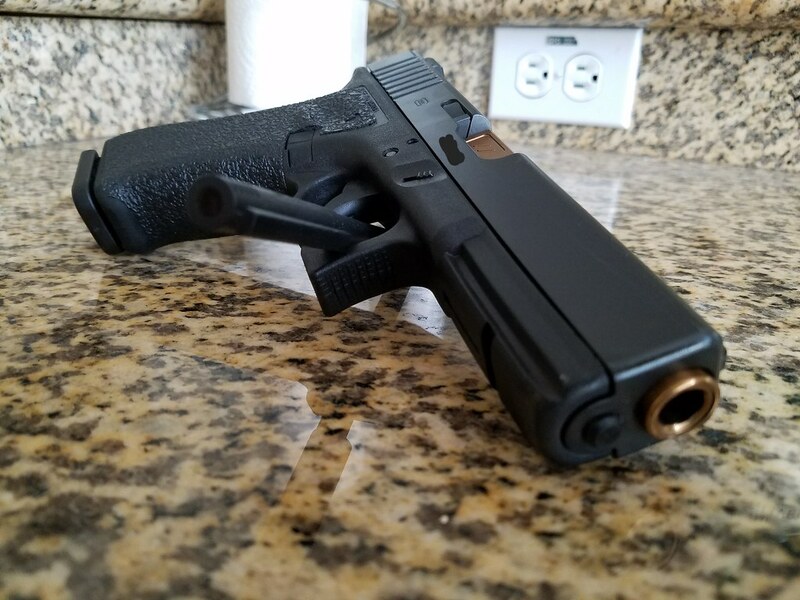 Glock perfection. 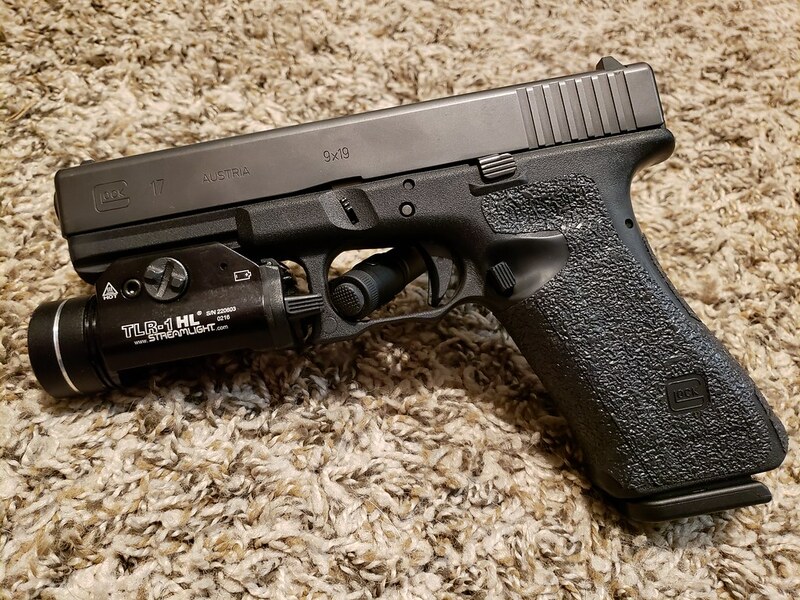 Question for whoever has tried the Vickers extended release for Gen 4. I understand that it moves the high point of the release more towards the rear. I can hit the mag release now without issue, but it does feel like the high point is at the front edge. Did you folks find the Vickers to feel more natural? Anyways, more photos in different lighting to hopefully show the smoothness and shine. Note that under the Talons, the frontstrap and reduced backstrap are also smoothed/shined out. Last edited by code_blue; 12-06-2018 at 10:22 PM..
Gotcha, gotcha. Duly noted, my friend.